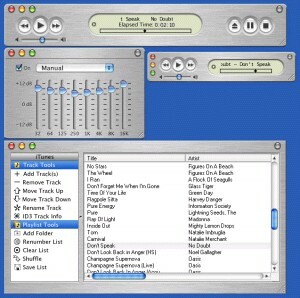 *UPDATED* A MacOSX Aqua-like Coolplayer. *UPDATED* Here's a quasi-port of the MP3 utility from "Eppla Xos". 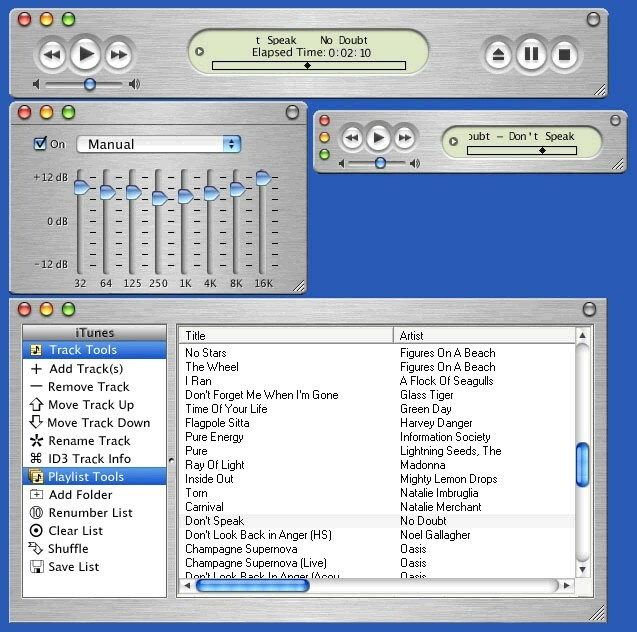 It includes three modes; a shade mode, a standard mode, and a standard equalizer mode. Comments and suggestions are welcome. Enjoy. Small bug fixes and some asthetic changes to better mimic Apple iTunes. Thanks to Disciple and GameBoyzGB for all the help.